From the neurobiological point of view, humans are hardwired for cannabis. We have an endocannabinoid system with receptors that perfectly interact with cannabinoids coming from the cannabis plant. When we consume weed, our bodies process its active substances in a variety of ways. Once it gets into your system, marijuana interacts with the body and thus needs some time to be entirely gone. How long does marijuana stay in your system? It’s a question that we have all thought about. Truth to be said, the answer is more complex than you can imagine. It depends on which system we’re talking about. Let’s open the vault of knowledge. How Does Marijuana Affect Your System? When you consume weed, THC levels in your bloodstream temporarily rise. 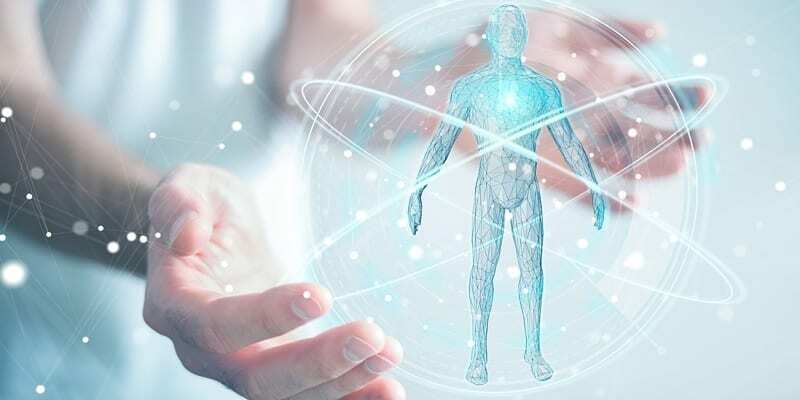 As the blood carries THC to the brain and other parts of your body, this compound, along with other cannabinoids, interacts with cannabinoid receptors in the endocannabinoid system, producing a range of short-term effects. THC taps to the cannabinoid receptors and signals neurons in the brain’s reward system to release dopamine and thus trigger the enjoyable “high” associated with marijuana. On top of inducing euphoria, THC elevates mood, stirs creativity, brings up relaxation, and alters the physical perception of time. There is a large body of scientific evidence supporting the medical benefits of THC, including relief from pain, anxiety, depression, PTSD, stress, inflammation, and an array of neurological disorders . When marijuana is smoked or vaped, the effects of THC show up within seconds and can last anywhere from 1 to 3 hours. If you consume weed orally, be it through edibles or capsules, the onset time is slower; you may have to wait 30 to 60 minutes until the herb kicks in. Okay, but what about its breakdown? How long does marijuana stay in your system before it’s fully metabolized? Overview: How Long Does Marijuana Stay In Your System? 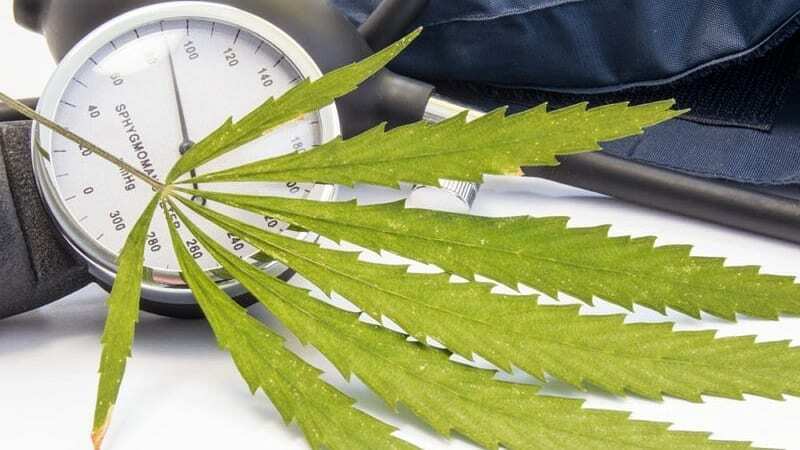 Whether you’re just starting your adventure with cannabis, or facing a drug test before getting the job of your dreams, knowing how long marijuana stays in your system can help you avoid the unnecessary trouble. We will answer the evergreen question – how long does marijuana stay in your system? – by taking a look at several parts of the body that can give telltale signs of marijuana use. But before we delve into this, let’s put the answer as simply as possible. Like we said, when you smoke or vaporize marijuana, THC, the psychoactive chemical, is rapidly metabolized by your body. The effects are almost immediate, lasting between 2-3 hours on average. When you ingest cannabis, this process takes a little longer. Don’t get us wrong, you won’t stay high for days – we’d rather say that 4-6 hours is the estimated time THC stays in your system . However, the byproducts of marijuana, also known as metabolites, can stay in your fatty tissues for much longer. Of course, they are not active and thus won’t make you high, but they will definitely betray the signs of previous marijuana use . Here’s how long marijuana stays in your urine, blood, hair, and saliva. Let’s say you got interviewed by your potential employer, everything went smooth, but all of a sudden, you were asked to undergo a drug test to see if you abstain from psychoactive substances or not. Drug testing has become very popular among companies all over the world, and despite the vivid change in the attitude towards cannabis, it is still considered a drug in most places, so yes, you can be tested for the presence of THC. Urine testing is one of the most effective methods of screening a person for marijuana use. It’s also the cheapest way to detect drugs, so 9 times out of 10, you will be ordered to provide your urine sample to a laboratory. Urine tests will test for the presence of THC-COOH rather than THC itself. THC-COOH is a metabolite that forms when the liver processes THC. If there are any traces of THC-COOH in your sample, it means that your body has recently metabolized THC – end of story. So, how long does marijuana stay in urine? It depends on how often you like to indulge in marijuana; the more weed you use, naturally, the longer it will stay in your urine. Heavy use: up to 80 days. We guess that this isn’t exactly what you wanted to read, but that’s the sad truth. Worry not, there is a couple of life hacks you can use to effectively pass the urine test if you’ve recently smoked marijuana. First of all, it’s perfectly possible to ‘fix’ your urine so that you come out clean on the test. Even if you’re a heavy marijuana user, do not abandon your hope! Although detox solutions are not foolproof by any means, and the best way to pass the urine test is abstain from smoking weed, some of them can really help you out. Besides, if we were to take a drug test a couple of days after indulging in the green, we would try anything to make our situation better. Okay, let’s get to the point. You can use detox drinks and detox pills that are available for sale and are a relatively effective solution to clean your system of detectable THC metabolites. However, when you go overboard with these products, your urine may get too diluted, which entails the risk of voiding your drug test. Another way to flush your body clean of marijuana is to try the fruit pectin method. Fruit pectin is a starch that is often found in jams, jellies and preservatives . Try mixing the pectin with an electrolyte drink like Gatorade and drink it two hours prior to a urine screening – and if you can also do it a day or two before as well, it’s all the better. Then, follow your detox with a bottle or two of water mixed with B vitamins. Because the fruit pectin is a naturally occurring fiber, it should make THC exit the body through the rectal tract instead of the urine. Last but not least, you can ask your friend for a favor. Yes, ladies and gentlemen, you can use someone else’s urine, as long as that person is clean. Currently, there’s no test to match the piss with the pisser, so if you somehow manage to smuggle the sample to the lab without being noticed, you’re going to be all good. Nonetheless, keep in mind that none of the above methods is 100% effective – even if you follow all the directions from A to Z, you may still fail the screening. How Long Does Marijuana Stay In Blood? 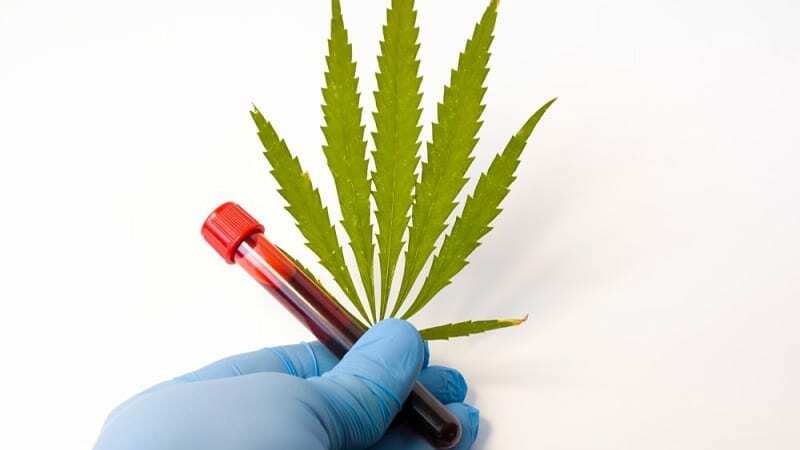 Blood tests will show signs of weed for the shortest amount of time. As mentioned, when you smoke, vape, or ingest marijuana, THC gets to your bloodstream to take effects. Once THC enters the brain, it will kick off the euphoric sensations of being high, and a range of therapeutic effects. Your body rapidly breaks down the active cannabinoids in the blood, which is why the signs of marijuana use won’t stay there for very long. That being said, blood screening is not the most common ways to test for the presence of weed, at least not with companies who want to test their employers for drugs. Most often, a company or law enforcement will take a blood test after traffic or workplace accidents because it would prove that someone was intoxicated with marijuana during the event, or shortly before. THC is detectable for one or two days after a single use. If you’re a regular or heavy user, it will stay in your blood for up to a week after your last consumption. How Long Does Marijuana Stay In Hair? Hair follicle tests are actually the worst thing that can happen to a regular/heavy weed user. A hair drug test will be able to detect the evidence of cannabis consumption for longer than any other test. In fact, hair follicle screening can reveal marijuana use up to years prior to the last session. In terms of general testing procedures, hair drug tests are typically looking for marijuana use back 90 days, but depending on the length of your hair sample, it can detect weed use back two years. The good news is that it takes a fairly large amount of marijuana metabolites to reach hair follicle tissue, so if you’re not a heavy user, there’s nothing to be afraid of. How Long Does Marijuana Stay In Saliva? Mouth swab tests look for the same active THC that blood tests do, as saliva is virtually connected with blood when it comes to the time span weed stays around in it. When you smoke, THC coats the inside of your mouth and gets absorbed by your salivary glands. When eating marijuana-infused food, on the other hand, this exposure is slightly reduced, but you’re still munching on the decarbed cannabis in your THC treats. This THC stays in your saliva until you swallow enough of it to cleanse your mouth of the signs of weed use. That’s because the psychoactive compound doesn’t make it into the bloodstream in significant amounts. Typically, THC will stay in your saliva for one to two days after your last inhalation. If you’re a heavy weed user, or you’ve been smoking some outstandingly potent weed, traces of THC could linger up to a week. Thinking about the possible ways to get rid of THC in your mouth faster? Drinking lots of water, eating fatty foods, brushing your teeth, using mouthwash – these should do the trick. No two people have the same metabolism, which means their bodies process THC at a different rate. Even among people of the same age and gender, their lifestyle habits, the chemical makeup of the body, and marijuana consumption rate can influence how quickly they can deal with THC metabolites . The above variables make it nearly impossible to predict how long THC will remain detectable in a person’s system with any degree of certainty, which is why we provide you only with the approximate time in each case. While the short-term effects of THC are easy to mitigate if you accidentally consume too much weed, speeding up the process of removing THC metabolites from your body’s systems can be challenging. Let’s say you smoke marijuana like a chimney and you’ve just received a note from your employer with a request to take a urine drug test. The screening will take place in 30 days; while it’s still not the brightest scenario for a very dedicated marijuana smoker, this “opportunity window” gives you several options to help your body get rid of THC metabolites much faster. Don’t use weed for that period. The above methods will help your body flush THC from the body’s fat cells, not to mention that drinking water can also prove invaluable for reducing the concentration of THC-COOH in the urine. The short-lived effects of marijuana don’t mean that the evidence of weed consumption will not linger in your system once THC gets processed by the liver. Of course, you won’t be high for as long as THC exists in your body, but it doesn’t mean you’re not at risk when taking a drug test. So, how long does marijuana stay in your system? When it comes to blood and saliva, where active THC is found, weed stays in the body for maximum a week. However, with urine and hair, things are more complicated. THC metabolites are stored in urine much longer, and with hair, it can stay with you forever – or, at least, until you shave your head. What are your tricks to cleanse your body of THC metabolites? Zach Walsh, Raul Gonzalez, Kim Crosby, Michelle S. Thiessen, Chris Carroll, Marcel O. Bonn-Miller, Medical cannabis and mental health: A guided systematic review, Clinical Psychology Review, Volume 51, 2017, Pages 15-29, ISSN 0272-7358. Sharma, Priyamvada, Pratima Murthy, and M.M. Srinivas Bharath. “Chemistry, Metabolism, and Toxicology of Cannabis: Clinical Implications.” Iranian Journal of Psychiatry 7.4 (2012): 149–156. Print. Skopp G., Richter B., Potsch L. Serum Cannabinoid Levels 24 to 48 Hours After Cannabis Smoking. Archiv fur Kriminologie (2003): 83-95. Print. Dhingra, Devinder et al. “Dietary Fibre in Foods: A Review.” Journal of Food Science and Technology 49.3 (2012): 255–266. PMC. Web. 15 Sept. 2018. Goodwin, R. S., Darwin, W. D., Chiang, C. N., Shih, M., Li, S.-H., & Huestis, M. A. (2008). Urinary Elimination of 11-Nor-9-carboxy- 9-tetrahydrocannnabinol in Cannabis Users During Continuously Monitored Abstinence. Journal of Analytical Toxicology, 32(8), 562–569.